Unlike many dental offices, we encourage parents to accompany their children to our clinic instead of waiting in the reception area. In fact, Dr. Clark encourages it because we are a family here! 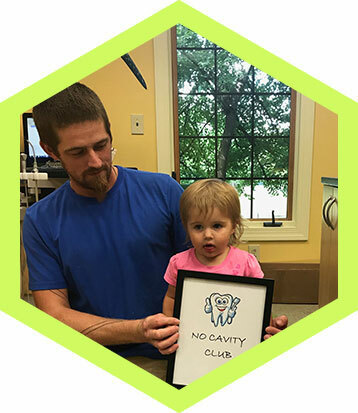 He believes in partnering with the parent and child to establish a lifetime of healthy smiles. By joining the child in the clinic, a parent has the opportunity to see our clinical staff in action and evaluate our overall office environment. The child will feel more secure getting to know our doctor and staff while his or her parent is present. Due to limited space, please understand that we can accommodate only one parent in the clinical area at a time.